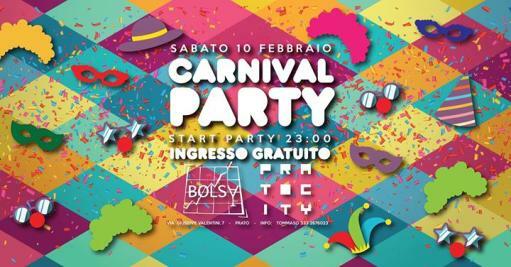 SATURDAY to the PRATO CITY we will celebrate THE NIGHT OF CARNIVAL !!! All the staff will be dressed in masks, gadgets as gifts, themed outfits ... Do not miss !!! ▰ WHAT IS BOLSA? It is a type of bar with prices based exclusively on the performance of the QUOTE of individual cocktails. ▰ WHAT DO YOU ME? Prices will vary based on what YOU drink. You can check the price trend live (via our screens) and decide what to drink accordingly! ♫ FLOOR BOLSA (Reggaeton Music - Hip Hop - Commercial - Dance) mixed by our resident DJs! ➡ Possibility of PRIVATE BUFFET DINNER with ★ UNLIMITED WINE ★ for birthdays (minimum 30 people) ask for the numbers written below!